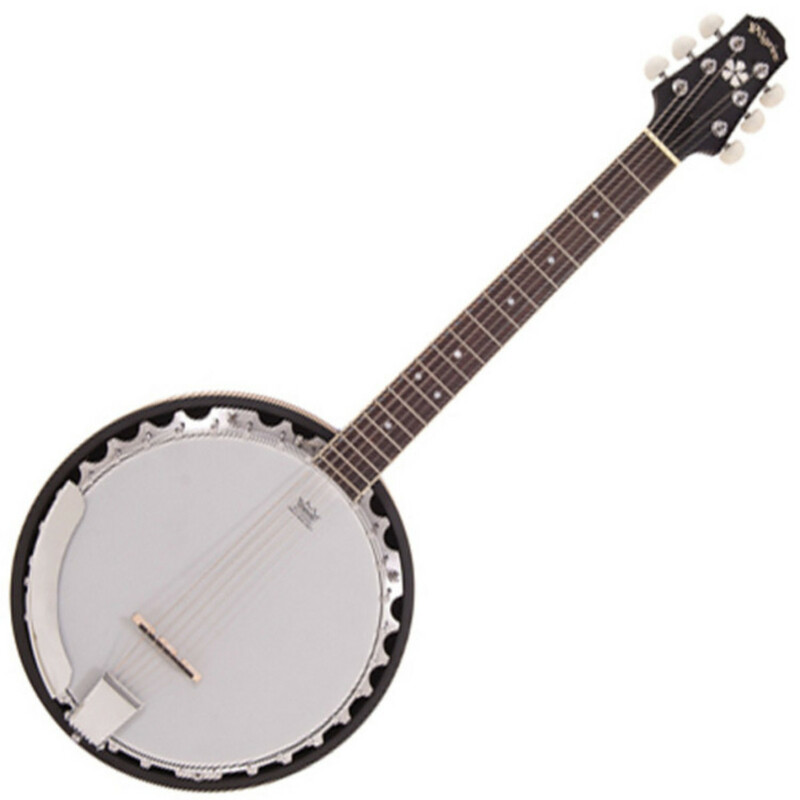 The Pilgrim by Vintage Progress 6-string guitar banjo has an aluminium shell and a mahogany resonator. It also boasts several quality touches, including enclosed tuning pegs and an adjustable tailpiece, plus a semi-matt finish and Pilgrim guitar-style headstock. This instrument is ideal for guitar players looking to access banjo tones. The VPB35T banjo has a mahogany neck with a rosewood fingerboard, and a Remo coated head.